Welcome to Christian childcare in a safe and nurturing environment. What does this mean to you? Here at our child care center, we strive to give your children quality care and a loving environment in which to learn. Our main objective is to assist you in raising your children with the love of a mother as we lead them to our Heavenly Father's love, just as Hannah in the Bible dedicated her son, Samuel, to God. It is with patience, positive reinforcement, and partnership with our parents that we will achieve our mutual goal of training and raising children in the way of the Lord. 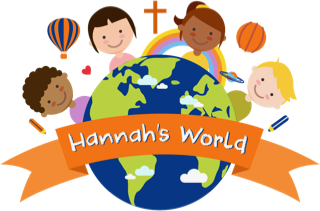 Hannah’s World provides developmentally and age-appropriate daily plans for each classroom. We offer classes for ages 18 Months to 5 years old.